With bright prospects in the package printing market, Shanghai World of Packaging (swop), which is dedicated to building a comprehensive value chain of processing and packaging, is now taking the lead by adding a 10,000 sqm Printing Packaging Theme Pavilion at Hall N5 of Shanghai New International Expo Centre(SNIEC). Leading players in printing equipment: Hörauf, Macsa, Han’s Laser, KBA-Metronic (Hangzhou), Hutong, Feida Printing, Lilin, Lifeng, Weishida, Kesheng, Xinfaxian, etc. have confirmed to exhibit. Heads of packaging and procurement departments of renowned corporations including Danone, Heinz, Nestle, Mondelez, COFCO, Pepsi, Coca-Cola, Yili, Bright, Nongfu Spring, Unilever, P&G, L'Oreal, Proya, and Pechoin, etc. will be oganized as groups to visit the show. China has overpassed the United States to become the biggest and packaging and printing market in the world. 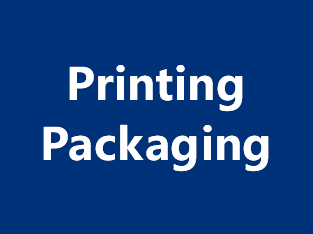 In the future, the printing packaging will develop in five trends: smart packaging, green packaging, electronic packaging, small packaging, and personalized customization. The overall scale of swop is expected to achieve a 60 percent growth over the last edition. The number of companies that have confirmed their participation has increased by over 200 percent as compared to the same period for the last edition. Some of the prestigious names include industry leaders in printing equipment: Hörauf, Macsa, Han’s Laser, KBA-Metronic (Hangzhou), Hutong, Feida Printing, Lilin, Lifeng, Weishida, Kesheng, Xinfaxian, etc. swop 2019 is expected to attract 25,000+ domestic and international visitors, nearly 60 percent of which would come from end use sectors including food, beverage, cosmetics and pharmaceuticals. The organizers have also implemented the Top 100 Corporate Buyer Group Program, which will invite visitors from food and household chemical product associations from Japan, Korea, Malaysia, India and Thailand, etc., in addition to heads of packaging and procurement departments of renowned corporations including Danone, Heinz, Nestle, Mondelez, COFCO, Pepsi, Coca-Cola, Yili, Bright, Nongfu Spring, Unilever, P&G, L'Oreal, Proya, and Pechoin, etc., who also attended previous swop fairs.. Among the nearly 20,000 visitors of swop 2017, nearly 77% visitors are from the management, packaging, engineering and procurement department, which is directly involved in investment decision.